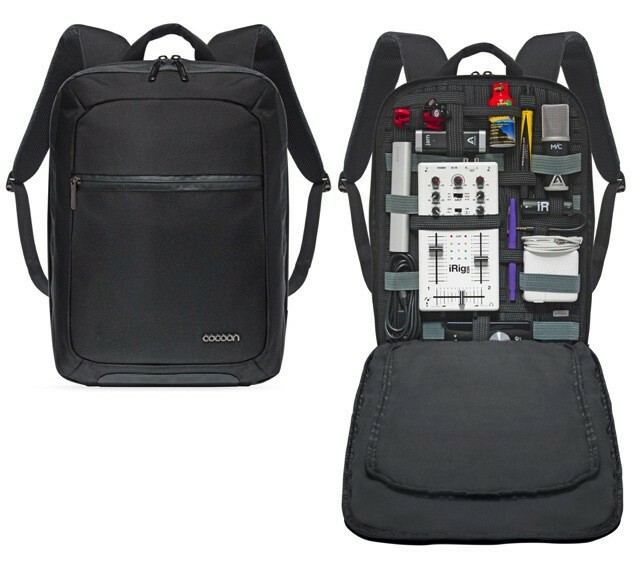 The Cocoon Grid-It, every geek’s favorite slightly-too-heavy travel organizer, has now been turned into a bag. It’s called the Slim, and it has enough straps and nooks to keep even a roomful of OCD freaks relaxed and happy. As you’d expect, the Slim has an interior panel that’s criss-crossed with elastic straps, ready to be stuffed with gadgets big and small, and cables long or stubby. And it also lives up to its name. Thanks to the fact that its contents are all held in the same flat plane, the bag can remain thin yet capacious. There’s even a second compartment with a slot for your MacBook, plus your iPad and some other slim items. In short, the only problem with this bag is that you can stuff so much in it you might crack a vertebra. Empty, the Slim weighs 2.5 pounds, or 1.14 kilos, which isn;t light, but isn’t bad for this kind of bag either. Even the price is reasonable, at $80. Available now.